I’m Jennifer. My friends call me the social planner. I’m very eco minded and I’m usually an optimist. I LOVE LOVE LOVE to dance and I adore the sun and being near water (so obviously a pisces). I am also a mompreneur and founder of The Eczema Company – your online store for natural eczema treatments like scratch protective clothing and natural, non-toxic skincare. I also have launched my own skincare brand, YoRo Naturals which features clean, pure ingredients. I have two wonderful children. My daughter is as healthy as can be, despite the minor eczema patches that tend to flare during the warm, summer months. My son, Tristan, on the other hand, has eczema, allergies and asthma. Managing Tristan’s health and helping him thrive is what has made me an everyday expert. His eczema was severe up three years of age when, at its worst, his poor body was 90% covered in what looked like burn wounds. The itching was intense and kept the whole family awake at night. You can read more about our journey with eczema in these posts: Part 1 and Part 2. I’m beyond thrilled that Tristan’s body has made such a recovery. Don’t get me wrong, he still has eczema, but it’s a fraction of what it once was. The allergies are under control, but the asthma still likes to rear its ugly head now and then. We tried every possible treatment from doctor’s prescriptions to homeopathy to acupuncture and lots of natural supplements and allergy testing. What finally ended up working? Well, it’s not really one thing, but a combination of a few things that brought us to where we are today, sleeping well and very happy. To read about what worked for us, check out this post, Natural Eczema Relief: What Worked For My Son. This blog will share our family’s stories on battling eczema, allergies and asthma using integrative methods (alternative therapies and conventional medicine). We’ll also feature related news and stories from guest bloggers and physicians. Please note, this blog does NOT share medical advice. Please always speak with your physician before making any diet or lifestyle changes, especially when it comes to babies and children. Please read our full disclosure for more information. I hope you’ll enjoy all the content we have to share with you. Our posts have caught the attention of many publications and I’m thrilled to say that Its an Itchy Little World has been recognized by Healthline since 2012 as a top Food Allergy blog and Skin Disorders blog! My story has also been featured on CBC news and with Allerject/Auvi-Q. You can browse all our Awards and Mentions. Follow-us on our journey to itch-free, sneeze-free, wheeze-free days! Thanks for your interest in our family! Please contact me. I’d love to hear from you! I am not sure how I stumbled onto your blog but I swear as I am reading “about” you and your boy it is like reading my own written words!!!! My son is 5 now and has multiple allergies including food, eczema, and asthma…my son was so bad at one point that he looked like a burn victim or like he was contagious and I would have people stop me and ask what was wrong with him…..it would break my heart! One boy at a playground even told him he was ugly because of his skin…. :( Mama Bear came out that day! Can’t wait to peek around you site some more!!! You just gave me chills – our son’s stories do sound so similar. Well, it’s very nice to meet you and I’m happy you stumbled across my blog. I just went to view your blog – it’s fantastic. Raw food is one avenue we have not traveled, but would love to. So, I’ll keep an eye on your site for inspiration! Well, regardless – it looks great. I’ll definitely try out some of your recipes. I’ve got you added to GoogleReader. It’s so nice to come across other mom’s in the same situation or that have been through the same things in the past. I’m very happy for you that you guys are in the clean now – it must feel so good! We’re really happy, but there is still a bit of eczema, but it’s totally manageable, so yeah! Oh yes, it’s lovely to sleep at night again! How did we live for so long without it??? I love your blog and have linked to it. I hope some other parents can benefit from your posts too! I’ve never felt so frustrated as when I took my infant son with severe eczema into the doctor and he said: “Well, that’s eczema. It’s really dry skin.” I knew there was something causing it, I knew his little immune system was overreacting to something. Thus started my journey last January. We finally have his eczema under control by erasing all corn, gluten, and dairy from his diet. He sleeps better now too….sweet bliss! The connection between food and allergies/eczema/asthma is very real, it’s nice to know you are not alone on this challenging path. I know what you mean! I was so frustrated when our first pediatric dermatologist said she could tell by looking at Tristan’s severe eczema that food allergies had nothing to do with it. She told me not to bother with allergy testing. Believe me, I’m seriously considering going back to her office to let her know that we found most of his eczema triggers were indeed caused by allergies thanks to the elimination diet. Doctors are wonderful – they save lives. But I find they often have a really one tract mind related to their field. Derms, usually, but not always, treat the symptom, not the cause. If you find a great one, they can be very helpful. If not, you get caught slathering on steroid creams and not looking for the underlying triggers that are aggravating the condition. Congrats to you for finding the triggers for your children. It’s so difficult, but it’s possible! I found some yummy recipes from your blog that I plan on trying. Thanks! Do you want to join the blog hop I’m starting? If so, I’ll add your link. That would be great Jennifer! Finding a good MD to support you is TOO challenging, I hope one day that will change. I know they are out there now, but they are often SO great that they can;t take new clients or are a longs ways away. I am going to one such doctor in February…3 hours away! Naturopaths are wonderful and seem more versed in the food as triggers and what to do about it, but my insurance does not cover them, and $150/visit is cost prohibitive over the long term. At least though online support, we can all share our grains of learned wisdom in our adventures! Good luck with the new doctor! 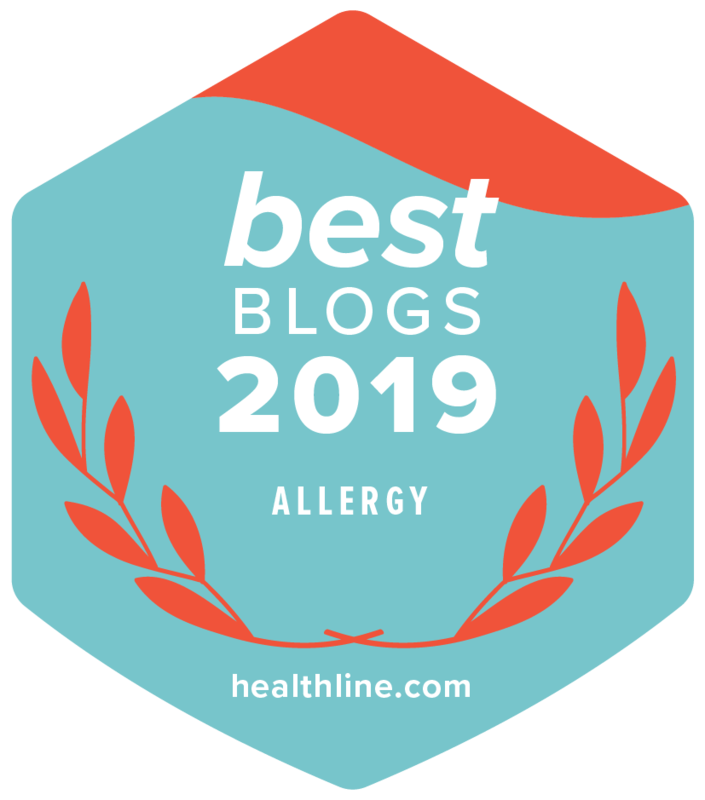 I just added you to the blog hop – please add me as well or add a page for a blog hop so we can link all these great allergy, eczema, and asthma blogs together. Yes, it’s all so frustrating! But a lot of goes back to mother’s intuition – we can tell when something just isn’t right with our children. We didn’t give up and we found the triggers…and thank goodness we did. I don’t want to begin to think about the state of my son’s skin, or his mental state, if his condition kept worsening. Thanks for the info, Dr. Bridgett. I’d love to get my little guy to stop scratching – it really has become a horrible habit that started when he was itchy from the eczema. Now, that he’s better his scratching is less, but it definitely still occurs. Hi – of course! I’ve just added you. Welcome! Hi Lorna – Thanks for the feedback on my blog. Really great products you have! I can imagine they are really critical for many families. I have a store as well, but for children with eczema. The Eczema Company. Some of the clothing has also been really helpful for autistic children with habitual scratching. Hey Jennifer, I can’t find your e-mail address so I’ll leave a note here. First of all, I’d like for you to do a guest post for me about how you helped your child’s eczema by eliminating food allergens. Send me an email and let me know if you are interested. My e-mail is in this comment. Also, I want to invite you to share some of your recipes and articles at our new blog hop starting tomorrow. Here’s the info: https://www.realfoodallergyfree.com/2012/01/a-big-announcement/ Hope to see you there! Nancy – I’d love to participate in this blog hop and I’d be thrilled to write a guest post for you. Thanks for asking! I’ll be in touch. Hi Jennifer, I wonder if I can reference your very informative blog in a book I am writing about treating eczema with nutrition? I would love to include a link so eczema mums can find it. I really enjoy your blog and all you’re doing for parents of kids with allergies. I wanted to offer up a guest blog post if you’re interested. I’m a clinical psychologist and my specialty is working with families affected by chronic physical illnesses. Most of my experience that’s related to your blog readers is with the Eosinophilic GI diseases, and I did the first (and only) study with parents of kids with these conditions and the stress that comes with it. If you have any need for a post about this or mental health and living with these conditions, I’d be happy to help. You can email me at [email protected]. Hello! I write a blog about green, healthy, holistic living. I’ve written a lot about allergies, and possible natural solutions as well as ways to clean without irritating chemicals which often can irritate allergic skin further. I would love to add each other to our blogrolls. That’s so sad 🙁 I know how it feels. A lot of people don’t understand how severe eczema can really be. I’ve had eczema my entire life but there was a few year period where it covered most of my body and it did look like severe burns. 🙁 Ugh, the memories. I’m glad it has improved. Hi! 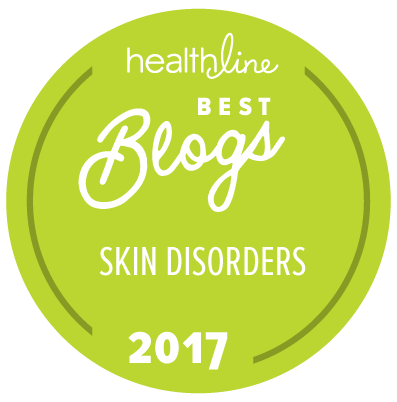 I would love to follow your blog – my 7 month old has eczema on his cheeks and I am hesitant about continuing with topical steroids. I just purchased the calendula cream from your site! Thanks! Hi Jennifer, I am writting from Spain. I have two children, both with eczema and food allergy. Bruno is 5 years old and his eczema is under control. Maria is 2 years old and has a severe eczema. Nights are really difficult. With Bruno I tried everything, nothing helped. I am trying the wet wraps with Maria, it is the first time I heard about it. I did first time last night, she did not understand why I was dressing her with wet clothes…I think it worked a little, seems she slept better. I will do it again today, I am excited! I will let you know… ! Thanks for this great blog! Hi Jennifer, where can I find the Calendulis Cream? The link to purchase is no longer working. My 4 month old has been dealing with pretty bad eczema for the past 2 months & my food eliminations aren’t working yet. Hoping this will give him some temporary relief until the food eliminations hopefully begin to work. Thanks! What a kind offer – thank you. But we only try natural products without alcohol. My son has a nut allergy and eczema. We have used all the creams and prescriptions recommended along with allergy shots. He is very active and the change in temps (with or without clothing) make his legs itch alot. He also has spider veins on his cheeks that are starting to become more visible. The dermatologist said all we can do for that is lazer. What creams do you recommend? We have used vasoline, cera ve and vanicream. They do ok. Very interesting about the spider veins – this is the first time I’ve heard about this. Does he get the veins where you use the cortisone cream? I’m wondering if that is a side effect of the cortisone or another prescription. I just don’t know. Have you spoken with your doctor about the cause? Not just the treatment, which he recommended the laser for? For the eczema, I have a lot of recommendations, but I would tell you to take a look at these three products and decide which one or combination of these you’d like to try based on the type of eczema your son has. They all have great results both with my family and many others as well. Emily Skin Soothers, Manuka Honey Skin Cream, or the EczeHerbal line. Hi Jennifer. So glad to have found your blog and website! My 7 year old daughter has eczema and food allergies. We have been on the Body Ecology diet for 3 weeks this Saturday. It is very similar to GAPS, nearly the same but allows more raw veggies which my daughter can handle well. She is doing better. Skin looks good although I think we’ve had some die-off. I was looking at your products at the Eczema Store. Interested in the chinese herb creams. Do you use these on your son? She has never reacted well to natural skin creams unfortunately. I still have her on a petroleum based ointment and would really like to find something else that works. Thanks! Thank you so much for your comment. The Body Ecology diet sounds interesting and isn’t one that I’m very familiar with, but if it allows raw veggies, that’s great! I wish you the best of luck with it and I hope you get the results you’re looking for. We do like the EczeHerbal, which works really well for many people, but for my son, he reacts better to the Manuka Honey Skin Cream actually. Everyone is different though, so either could work great for your child. If you’re looking for a true petroleum substitute, we have the Greener Than Petroleum Jelly that you may be interested in as well. I hope this helps! Hello Jennifer! I have a question. My son has the type of eczema that has little itchy spots. The spots look more like poison iVy and then typical eczema . Are you familiar with this type of eczema? If so what would you recommend we try? Of course the steroids cream quickly but I don’t want to use those. We have never used scented laundry detergent and actually currently use the clean king laundry ball. He has been tested for the top eight allergy triggers and had no reaction. Thanks for your help! Hi Tara- you should try the Eczeherbal #2 and the Emily’s diaper skin soother. Ha d you looked at food sensitivities not just allergies? I think we need some sleeping tips!!! We’re still up at night…it’s like we have a new born! Thanks for sharing you life! I look forward to staying connected with you more in the future! I created a website (https://www.asthmanatural.com/) to help people with asthma so they can deal with it better. I know it’s tough as i have seen how bad it can be. Therefore, i want to help them as much as i can. If you like to help the asthma community and participate in a link exchange, I would be happy to do so! I hope it helps. Thank you so much. Happy to add you to the blog hop! Love what you’re doing for asthma! Try these if you like.